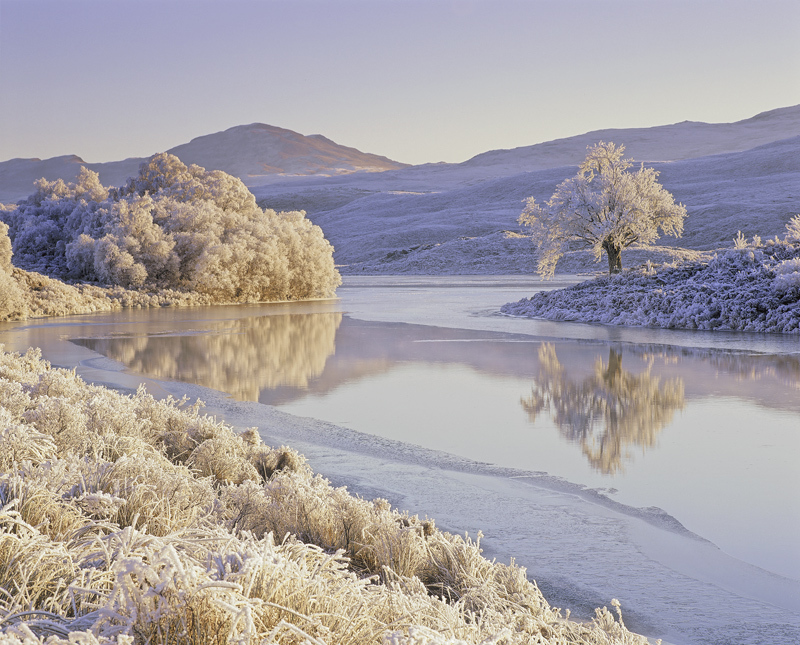 Frosted Paradise Loch Achanalt, Strathbran, Scotland. An unbelievably cold winter morning at Loch Achanalt with temperatures plummetting to minus 23 degrees celcius. Every tree, branch, twig and blade of grass had set solid coated with two inches of bristling white hoar frost. I made my way towards the river over ground like concrete and positioned myself to make use of the reflected tree in a surprisingly unfrozen area of the river.